Okay, no more complaining about slow reading, because August was a *banner* month. TWENTY THREE BOOKS. Read’em and weep…no pun intended. Five audiobooks, for almost 3 days of listening, and 18 print books of over 5,300 pages. Don’t ask how, I have no idea. Even better, I’ve already reviewed almost all of them. I’m feeling quite accomplished at the moment, if you can’t tell. 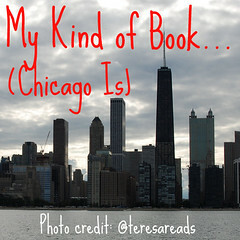 It has been a long, long time since I have had such a difficult time picking a favorite book for the month. Of course, it has also been a long, long time since I finished 23 books in a month, too. I considered Rachel Shukert’s Everything is Going to be Great, The Life You’ve Imagined by Kristina Riggle, and Lake Overturn by Vestal McIntyre. 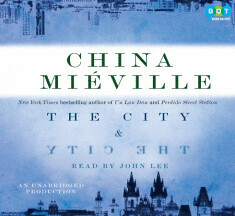 The winners, however, is: The Report by Jessica Francis Kane, partly because it was such a sleeper hit, and The City & The City by China Mieville, which was just a phenomenal audiobook.. Honorable mention to The Rembrandt Affair by Daniel Silva and Body Work by Sara Paretsky, both of which made me want to read all of the previous books in both of these prolific series. Holy cow! That’s almost a book a day! I couldn’t do that if I locked myself in a closet for the month! I just uploaded The City and the City, and hope to listen to that next, after Faithful Place. Even more impressive is the fact that you have most of the reviews written. This is my issue these days. If it makes you two feel better, I still have some books from then end of May that haven’t been reviewed, so I’m only caught up on recent stuff! 23 books is very good! Phenomenal, actually. That is more than I have probably read the past 3 months combined! Wow! You read a lot of books! Very good list of books. Wow, you had an amazing month! I’m impressed that you managed to read this much AND to keep up with the reviews! I can’t wait to hear your thoughts on Kraken. Twenty three books? TWENTY THREE??? Holy cow! I am in awe…. I am peeking at my TBR shelf, errr…. bookcase…. errrr mountain and thinking what a twenty three book month would do for me…. Congrats on the great month of reading!